•R. Meissner, N. Oliver and C.Denz. “Optical Force Sensing with Cylindrical Microcontainers“.Part. Part. Syst. Charact. 2018, 1800062. •F.Català, F. Marsà, M. Montes Usategui, A. Farré & E. Martín-Badosa. “Influence of experimental parameters on the laser heating of an optical trap“. Sci. Rep. 7, 16052; doi:10.1038/s41598-017-15904-6 (2017). •Català, F. et al. “Extending calibration-free force measurements to optically-trapped rod-shaped samples“. Sci. Rep. 7, 42960; doi: 10.1038/srep42960 (2017). •R. Bola, F. Català. M. Montes-Usategui, E. Martín-Badosa. “Optical tweezers for force measurements and rheological studies on biological samples”.15th workshop on Information Optics (WIO), 2016. •Martín-Badosa, F. Català, J. Mas, M. Montes-Usategui, A. Farré, F. Marsà. “Force measurement in the manipulation of complex samples with holographic optical tweezers”15th workshop on Information Optics (WIO), 2016. Derek Craig, Alison McDonald, Michael Mazilu, Helen Rendall, Frank Gunn-Moore, and Kishan Dholakia. “ Enhanced Optical Manipulation of Cells Using Antireflection Coated Microparticles”.ACS Photonics, 2 (10), pp 1403–1409, (2015). •Xing Ma, Anita Jannasch, Urban-Raphael Albrecht, Kersten Hahn, Albert Miguel-López, Erik Schäffer, and Samuel Sánchez. “Enzyme-Powered Hollow Mesoporous Janus Nanomotors”. Nano Lett., 15 (10), pp 7043–7050, (2015). •Y. Jun, S.K. Tripathy, B.R.J. Narayanareddy, M. K. Mattson-Hoss, S.P. Gross, “Calibration of Optical Tweezers for In Vivo Force Measurements: How do Different Approaches Compare?”. Biophysical Journal, V 107, 1474-1484 (2014). •A. Farré, E. Martín-Badosa, and M. Montes-Usategui, “The measurement of light momentum shines the path towards the cell”, Opt. Pur Apl. 47, 239-248 (2014). •A. Farré, F. Marsà, and M. Montes-Usategui, “A force measurement instrument for optical tweezers based on the detection of light momentum changes”, Proc. SPIE 9164, 916412 (2014). •J. Mas, A. Farré, J. Sancho-Parramon, E. Martín-Badosa, and M. Montes-Usategui, “Force measurements with optical tweezers inside living cells”, Proc. SPIE 9164, 91640U (2014). •F. 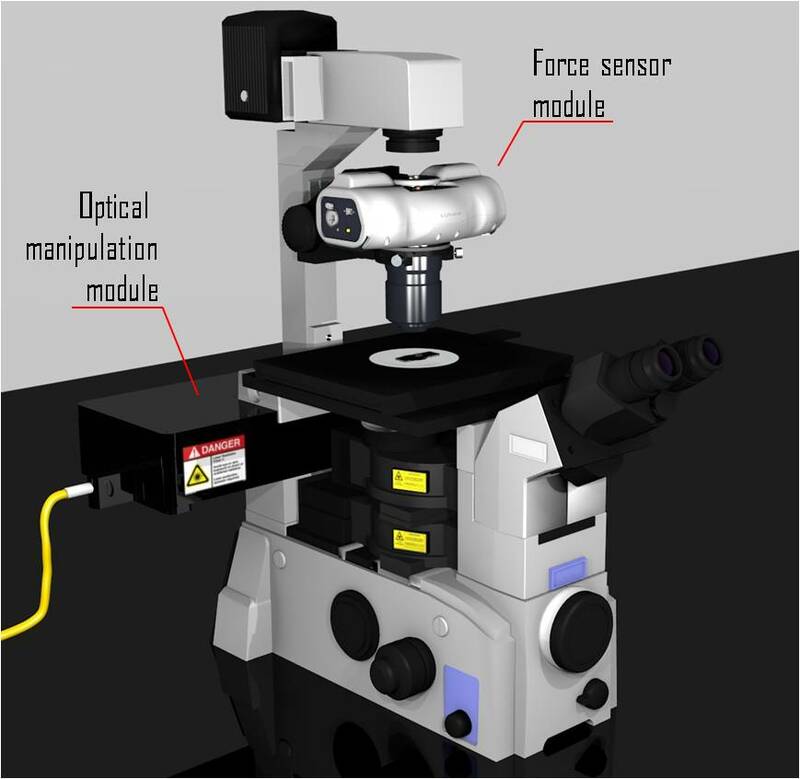 Català, F. Marsà, A. Farré, M. Montes-Usategui, and E. Martín-Badosa, “Momentum measurements with holographic optical tweezers for exploring force detection capabilities on irregular samples”, Proc. SPIE 9164, 91640A (2014). •A. Farré, F. Marsà, and M. Montes-Usategui, “Optimized back-focal-plane interferometry directly measures forces of optically trapped particles” Opt. Express 20, 12270-12291 (2012).